For the better part of over a decade Chrysler has failed to impress with their lacklustre line-up of cars, SUVs, and trucks. Blame it on complacency, poor judgement by the former German control –the Chrysler Corporation was under the Daimler-Benz corporate tree for some time– or federal trade regulations that failed to keep the company competitive against foreign competition. The list of excuses, ahem, reasons could go on and on. The point is, regardless of what the reason was, the result was unimpressive vehicles from Chrysler that sent what was once the most profitable North American automaker in to near bankruptcy. In an effort unlike anything we’ve seen in recent history from an automobile manufacturer, Chrysler pulls out all the stops to bring us a whole new range of stylishly refreshed and reborn models for the 2011 (2012 for Fiat) model year. Having passed on the Ram’s head logo to the new RAM brand, Dodge has adopted a new logo consisting of a two angled red stripes at the end of the word ‘Dodge’. Avenger – The visual updates are subtle yet obvious compared to 2010 and help raise the whole Dodge line to new heights of design appeal. A new V-6 mated to a 6-speed automatic give the Avenger best in class horsepower ratings, and improve considerable fuel economy improvements over the outgoing model. There’s a whole new suspension setup, which combined with improved cabin acoustics help make this new Avenger feel great on the inside. 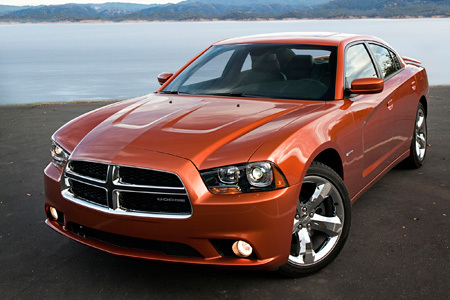 Charger – Dodge was so proud of this new Charger and in an effort to give it as much exposure as possible has it featured on the new Fast and Furious movie: Fast Five. The styling is a definite upgrade to the old tired design on the outgoing model, and touts to the use of higher quality interior materials similar to those found on luxury sedans. Power -as always with Dodge- is a big focal point, with massively improved powertrains giving you more power with better fuel economy. 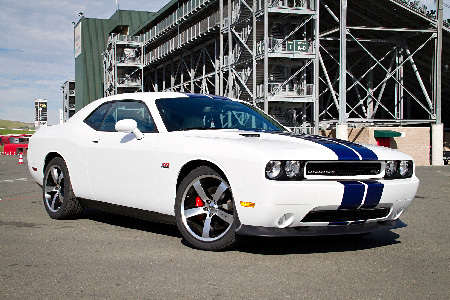 Challenger SRT8 392 – The design of this new Challenger isn’t new with the exception of new paint choices. But the focal point isn’t styling, it’s the 392 cubic inch HEMI power plant. This 6.4L 8-cylinder engine pours out 470 horsepower and 470 lb. Ft. of torque. For those looking for exclusivity there are 1,492 Inaugural Edition models being made, with just 392 destined for sale in Canada. 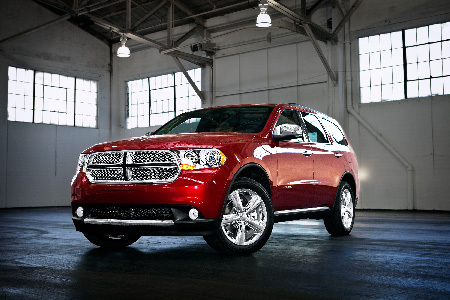 Durango – This big boy has been slowly slipping out of the large SUV scene since 2008. We all believed that with ever higher gas prices and consumers looking for smaller vehicles, the Durango was gone for good. But Dodge in a stroke that is sure to draw plenty of attention, gives new life to the nameplate with this stunningly re-designed 7 passenger SUV for 2011. A lot of attention has been paid to make the interior as spacious and as practical as possible, allowing for up to 28 different seating configurations. For those looking for minivan like space, with SUV like style, and lots of attitude, this may very well be your answer. 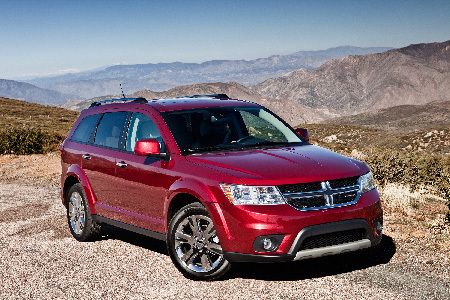 Journey – The Journey was a good model introduction for Dodge a few years back, as it fit that market between a wagon and a minivan. Journey’s of old however, had more than a few shortfalls; something the 2011 model attempts to address with apparent success. New exterior styling, completely redone interior, better suspension, and lots of tech options help make this Journey a successful trip for Dodge. Grand Caravan – The Grand Caravan was always the lower priced minivan option for those looking, and generally also meant lower expectations on everything else. With this new model Dodge hopes to change that image by not only giving it better components and more technology, but also by including innovative storage options along with some smart design work. Compass – 4×4 enthusiasts always had trouble accepting this entry level Jeep model for more reasons that it’s disappointing styling. 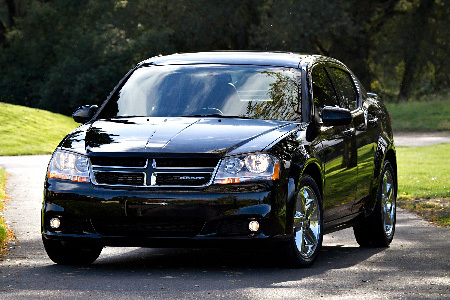 But with this 2011 model we can tell right from first glance that styling will no longer be an issue. As with any Jeep product, this entry level SUV offers more sophisticated, improved and capable safety and off-road systems than any competing model; a fact that should put any 4×4 buyer’s mind at ease. Although this is not the kind of vehicle you’d buy if you were an off-road enthusiast, the Compass does promise to get you out of any difficult road condition that on-road drivers may experience. Grand Cherokee – The pioneer off-roader, the Grand Cherokee takes credit for giving rise to the now popular pastime of driving from where the roads ended in to where the trails began. 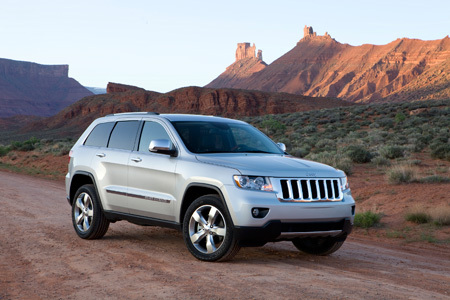 The 2011 Grand Cherokee is as much a comfortable on-road vehicle as it is a capable off-roader. 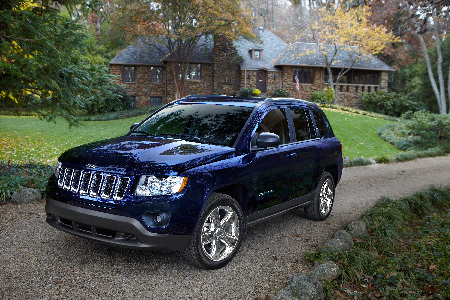 There’s more luxury, more capability, more style here than any Grand Cherokee before. Look out for our test drive review of this new model in the near future. Although not a new product launch in the traditional sense, RAM trucks will be marketed as its own brand from now on. So say hello to our very large friends, the RAM trucks. These near legendary trucks are touting never before seen towing capacities, technology, and fuel efficiencies with their new line up. 500 – With a 30% stake in the company, it only makes sense that Italian automaker Fiat introduced a model in to the Chrysler line-up that it was previously missing. 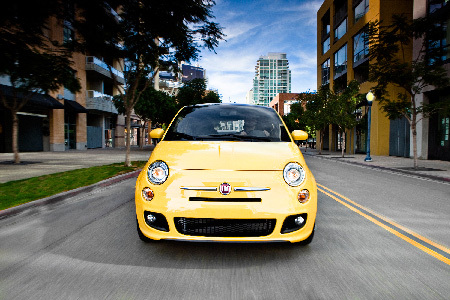 We’re happy to see the European 500 stay the Fiat 500 here in North America and not the Chrysler -insert new small car name here-. This exciting new small car gives buyers a choice for a small car that is not your average economy vehicle by offering more style and features at a price point that won’t break the bank. 200 – For those who own recent model year Sebring sedans: I’m sorry; your model has just been replaced with what can only be likened to swapping a horse carriage with a plane. Chrysler struggled in the mid-size car segment for years, and the Sebring -its last iteration- was no help; with dealers selling them for bottom dollar just trying to move inventory, while the company kept trying to penetrate rental fleets deeper hoping to bolster struggling sales. The new 200, is more than just a beautiful redesign, with a new name. Chrysler claims to have gone to work on almost every major component, and have given this new model a better… everything. Time will only tell how much better than the Sebring this new 200 is, but we’re definitely glad to see it here now. 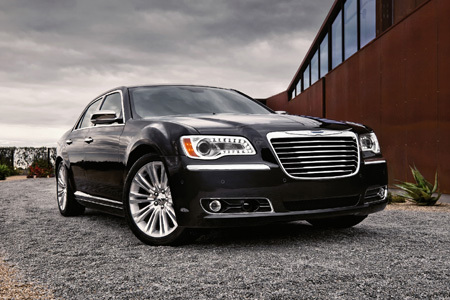 300 – In 2005, Chrysler gave us this new 300 which was unlike any other car in its class. The distinctive styling helped differentiate the 300 enough from any other car at the time. 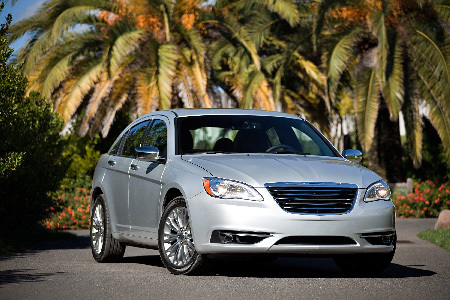 For 2011 Chrysler does it again with this redesigned 300 that is a major departure from any other car in the segment while paying homage to its predecessor. There’s a lot of safety, convenience and performance enhancing technology in this new model. And with Chrysler hoping to take on the big guns from Cadillac, this 300 is the best and brightest the company has put forward in a long time. 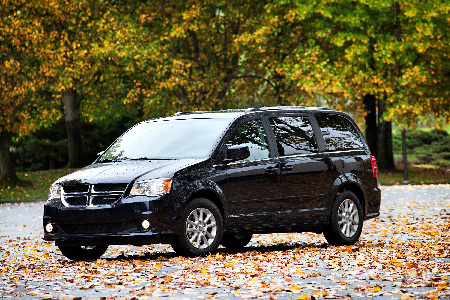 Town & Country – For those looking for a minivan that is as ‘premium’ as can be, the Town & Country is a strong option. With a plethora of safety features, enhanced convenience and technology -like an in vehicle Wi-Fi hot spot- this new model does impress. The srt8 is no joke. The new lineup should impress many with the nice high class interior. @ under 50K for the Jeep SRT8, this should be enough to get me in one. Happy to see you writing again! Keep it up! Great article! Thank you for writing Kanishka! Had no comment_content_IDea Chrysler had changed this much. I normally think of the company as the people who started the minivan and dcomment_IDn’t know when to quit with it. This new lineup looks promising, I’m looking forward to what they do in the coming years. SHAME ON YOU, GIORGIO ARMANI! Can Censors Prevent Citizens from Reading New Kuwaiti Novel, ‘Stray Memories’? Finally – A Reason To Like Kristen Stewart!